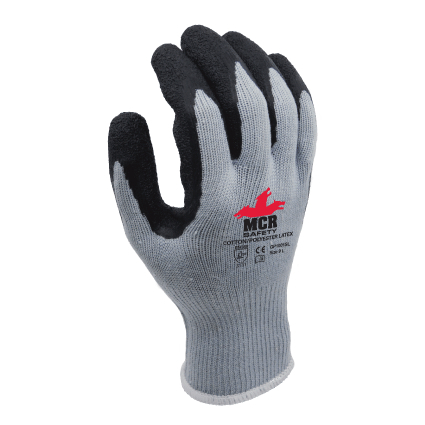 The MCR Safety General Purpose GP1001SL Latex Palm-Coated Work Gloves are general-purpose safety gloves designed to provide protection for low- to medium-risk tasks. Featuring a flexible latex-coated palm, these gloves provide excellent grip in wet and dry conditions, along with a good level of dexterity for easy handling. The MCR Safety GP1001SL Work Gloves are available in sizes 7 - 10, one of which should suit the hands of most users. Please measure the circumference of your hand around the knuckles (excluding the thumb) with your hand open and your fingers together, and the length of your hand from the tip of your middle finger to your wrist.